Is food medicine? 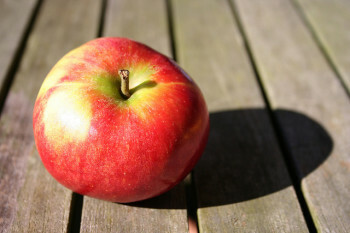 Should health care providers prescribe healthy food to prevent diet-related diseases and hunger? Although health professionals have long understood the critical importance of good nutrition to individual and population health, millions of Americans still suffer from diabetes and other diet-related diseases. Millions also lack secure access to the food needed to maintain well-being. In response, many public health practitioners, physicians, community health workers, policy makers and advocates are asking whether they can play a role in preventing illness by getting healthy food to the people they serve. Recent efforts to prescribe food have their roots in the social movements of the 1960s. In 1965, civil rights activist and physician Dr. Jack Geiger (later one of the creators of the community medicine program at CUNY’s Sophie Davis School of Biomedicine) founded one of the nation’s first modern community health centers in the Mississippi Delta. He wrote “prescriptions” for food for his malnourished patients, asking grocery stores to send the bill for meat, milk and vegetables to the health center pharmacy. When questioned by the Office of Economic Opportunity, the center’s funder, he simply stated that for a diagnosis of malnutrition, food was medicine. Carrying on Dr. Geiger’s tradition, Dr. Nimali Fernando of Yum Pediatrics in Spotsylvania, Virginia has fully integrated food and wellness into her healthcare delivery model. Food activist and writer Mark Winne has hailed her as “the future of medicine.” After years as a practicing pediatrician, “Dr. Yum” has made not just food, but the skills and knowledge needed to prepare and enjoy healthful foods, the centerpiece and overall focus of her pediatric practice. Replete with a teaching kitchen where cooking classes are held, a waiting room TV playing cooking shows, and throughout the garden-themed office and exam rooms, Dr. Yum has made wellness the centerpiece and overall focus of her pediatric practice. Last year, Wholesome Wave and the New York City Department of Health and Mental Hygiene launched their Fruit and Vegetable Prescription Program (FVRx) in two New York City Hospitals: Lincoln Medical Center in the Bronx and Harlem Hospital Center in Manhattan. 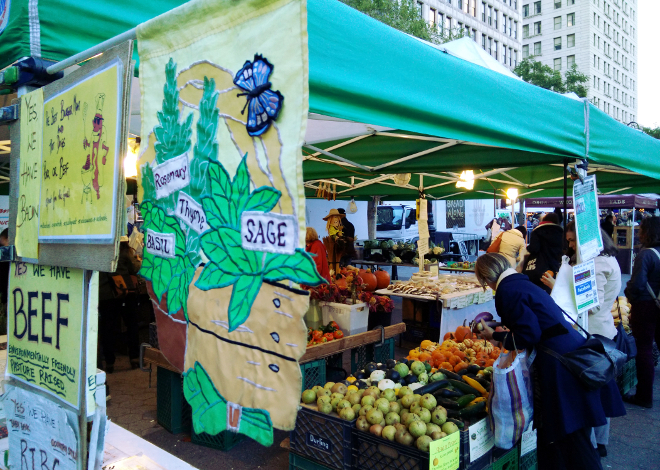 In this program, participating physicians write prescriptions for fruits and vegetables in the form of coupons that are redeemable at farmers markets throughout New York City. Hailed as a success on many fronts, FVRx has been found to increase fruit and vegetable consumption, decrease BMI, and increase traffic and repeat visits to farmers markets. In 2001 Boston Medical Center established its Preventative Food Pantry, where patients are referred by their physicians to receive supplemental and therapeutic foods, strengthening the connection between healthcare providers and preventative medicine. Despite mounting evidence that good nutrition plays a critical role in the health of our most vulnerable populations, most federal healthcare programs do not include provisions for food and nutrition services. The Patient Protection and Affordable Care Act created an opportunity for states and advocates to urge the U.S. Department of Health and Human Services (HHS) to include doctor’s recommended and registered dietitian prescribed food and nutrition services as an allowable service category within the prevention and wellness services and chronic disease management category of the Essential Health Benefits. Currently states decide what is included in the package. In 2011, in response to these massive health care reforms, God’s Love We Deliver, a regional non-profit organization providing healthy scratch-meals and nutrition counseling to high-need populations, launched its Food Is Medicine Initiative. Food Is Medicine has since become a national movement that seeks to influence policy decisions in the realm of food, nutrition and health services. The social and economic costs of diet-related disease and food insecurity, are well-publicized– shorter life-spans, less focus at school, soaring medical costs, greater risk of type II diabetes and other chronic diseases, and a host of other problems. The impact on high-need populations, particularly those managing life-threatening illness, is even greater. [ii] As the line between public-health practitioners and healthcare providers blurs and preventative care through healthy lifestyle becomes ever more mainstream, it follows that the concept of food as medicine would once again become a vehicle for health and wellness in high-need, at-risk populations. [i] One exception is the Ryan White CARE Act, which includes nutrition services as core medical services. [ii] Tragically, it is estimated that 89% of HIV/AIDS patients in New York City experience food insecurity.